Microsoft taking the Xbox experience to a mobile or handheld platform isn't a matter of "if," according to Microsoft's Shane Kim, it's a matter of when. Just about everyone's taken a dive into the portable end of the gaming hardware swimming pool at this point but Microsoft. Is the company afraid of the water, or just not interested? 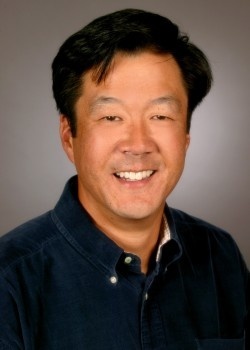 According to Shane Kim, Microsoft is just waiting for the right time to make its move. A portable Xbox experience happening is just a matter of time. "For us, it's a matter of focusing on 'when', because if we chased after a mobile or handheld opportunity, we would not have the resources and ability to do things like instant-on 1080p HD, Facebook, Twitter, Project Natal," Kim said. So the reason why the company has yet to pursue a portable Xbox opportunity is because its priorities are elsewhere. Microsoft, however, will make a shift at some point soon - Kim hinted that the company is "building a service in Live that will... will extend to other platforms." The question, Kim says, is how Microsoft will enter the market: "Do we do our own device, do we create our own phone - that's a question for the company itself...But believe me, we understand the importance of that device in people's lives." Kim seems to put more stress on how Microsoft is going to expand the Xbox experience to "all the important platforms in people's lives" rather than explicitly stating that there'll be a portable Xbox at some point, which really makes it sound like a handheld Xbox is just a hypothetical right now, if anything. It could happen, it will probably happen. Personally, I could wait a long time for it to happen - between two handhelds and my iPhone, I have enough gaming to keep me busy on the toilet. Uh, I mean, on the subway. I'm wondering how this handheld console would look and what kind of games it would play. I don't know if I'd like to see developers that need to extend their portable efforts to yet another handheld console. It would be hard to make cross-platform games, due to the differences inherent in the PSPGo, DS, and XboxPocket, so we'd have to deal with more exclusives if this was the case. If... er when they do make the 360go I wonder if it will have a better durability record than the 360. - between two handhelds and my iPhone, I have enough gaming to keep me busy on the toilet. Uh, I mean, on the subway. Too right. As if picking consoles wasn't difficult enough, do we really need to create more hand-held gaming devices to add to the confusion? My guess it will debut or be announced shortly after this holidays version of Zune v3 drops. I guess it is inevitable. I think there is space in the market for this, as long as gamertags, microsoft points, and other such things are transferable. I just don't want triple AAA spinoffs on these platforms so that you have to buy it for the portable version to have the "full experiences." I don't really expect much from a Xbox portable system because it goes against the american way of selling products. Americans don't make products smaller, we make them bigger. We don't care about the quality, we care about the quantity which means having a portable system with an HD screen with a 2 hour battery life. This will sell even worse than the PSP Go. I can tell from here. Trust me, they'll never be able to get a foot into the gaming market. the PSP already covers the perfect portable media device, and the DS already has the games. What could they possibly do? If it was priced cheaper than the others, I could see it getting popular. But it is Microsoft we are talking about, and it will probably melt just like the consoles, except on your hands. Call me crazy, but maybe they could try to create a device with perfect portable media and all the games? Yeah, you just dont mess with portable consoles. Nintendo has had complete control on that market since the freakin '80s. And if you dare oppose them they will just release a new Pokemon when your handheld launches and make you feel very silly. "Mobile Xbox 360 melts in your hands!" Or make a device that self destructs on a certain date. And when has Microsoft ever actually done that? I thought so. They're not even good at PCs, which should be their specialty. So don't mind me if I doubt them. ...uhhh dude, look at the Xbox 360. From my perspective, the Wii has all the games, and the PS3 has the more "super-media device" thing going for it, while the 360 sits in a comfortable middle of the two. Now look at the handhelds. The DS has all the games (and innovative controls, like the wii) while the PSP is more media device oriented. One would assume that the developers at Microsoft could find the same balance that they found in the consoles, and furthermore, that there would be a willing and lucrative market for such a device, if done properly. Really? that's why 2/3 of the world owns PC's and not Macs? That's why more games are readily available for PC? That's why people build Gaming PC's that use a Microsoft OS, with a small percentage of Linux users. I think developers will just keep doing what they have been doing when it comes to portable games: Make "side-story" games that tie-in with the main storyline of a game series, but aren't necessary to enjoy the console games. Am I the only one who thought of North Korea when I saw the title? I'm a horrible person who has been reading too many Cracked articles. Phone + actual console = win. Is it wierd that when I saw the title, I imagined a 360-based robot taking over the world? Ive never liked handheld gaming except the GB and GBA to play pokemon. Yeah and the kinda of games (FPS, TPS) that are popular on the 360 never translated well to the psp...although that might be caused by the psp having one analog stick. I'm interested in what Microsoft does with this but chances are when it launches I'll just stick to my DS ans it's wacky fun games. Well, if I remember correctly, they never did do well in the hardware department. And I feel that this new handheld would be riddled with errors and flaws, so I'd never buy it considering I already have a PSP. It doesn't matter if PCs are popular, or that Microsoft is always in second place every time. You can't trust them with hardware OR software. I've seen enough BSODs, RRODs, E74s, and general bad crap from them to know never to buy their garbage in the first place. Even if they have some good games, I'm not going to risk my handheld melting in my hands. I'm not going through that again. 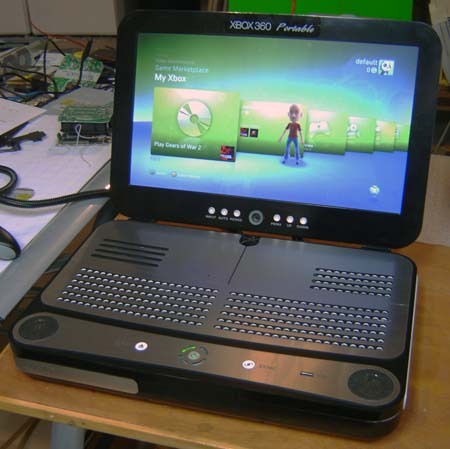 Besides, the 360 is only popular because it had a head start. Face it, they can't catch up with the PSP's 50 million user base or the Wii's even more impressive 100 million userbase. It's a lost gamble if you ask me. I'm not saying they should make one, I'm saying PC's are where Microsoft excels. Mac's have compatibility issues and usually have crap graphics cards, they also cost a lot, you could build a really nice gaming rig for the same price as a mac book pro and just get really good virus/spy/malware protection, like me I have VIPRE virus, ST spyware, and malwarebytes malware protection, and they don't slow down performance either. Also seeing as hardware in computers doesn't come from Microsoft when you say hardware I assume you mean the 36o, in witch case you're right, but they did release a year early, if they waited they could have built a much better system. That's what I'm saying. A portable doesn't work with their strengths. They need top of the line hardware to run Windows without errors, and 360 owners everywhere are happy to have a warranty, if you get what I mean. A portable device can't handle their software without trouble and will meet a dead end. Which is why I have a feeling people will foolishly buy it if it has a warranty. The situation just isn't right for them. Not to mention all the other competition for "gaming handhelds". The XBOX mobile sounds like it will be left in the dust of the competition. It feels just like 1995. That picture made me jump. I think the difference is that the 360 was the first of the 7th generation but now that they'll be last in the handheld generation they won't have as much going for them. Microsoft's already got the Zune - hard to believe they'd put out another, completely seperate portable handheld Xbox. I'm guessing a new Zune with more gaming capabilities is what Kim's talking about. Quote me on this 1 and a half years from now when it turns out I was right.